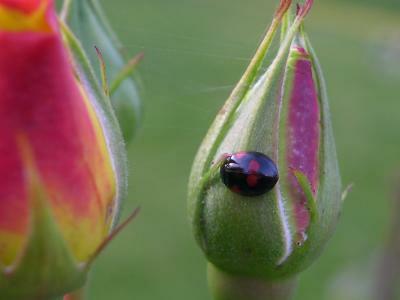 Rose Bug or Rose Bud? I just bought a land. I am hoping that soon I will build my own home and design my rose garden. I love roses and I want the garden to be a magic place where you can daydream among lovely colors and wonderful smell of flowers. The picture was taken at the end of summer, when spider webs cover the world and little creatures slowly fall asleep make it a mystic place.